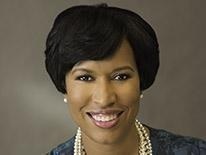 (Washington, DC) – (RealEstateRama) — On Friday, June 22, at 11 am, Mayor Muriel Bowser will hold a closing celebration of June Housing Bloom with a groundbreaking on Liberty Place Apartments, a 71-unit affordable housing development in the Mount Vernon Triangle neighborhood. June Housing Bloom is Mayor Bowser’s annual month-long initiative that showcases how the public and private sectors are partnering to both produce and preserve affordable housing and revitalize neighborhoods across the District. Liberty Place Apartments will serve families earning below $70,000 including 14 for permanent supportive housing with seven apartments set aside for veterans. Press interested in attending the event is asked to RSVP to "> . To view the event online, visit mayor.dc.gov/live or tune in on Channel 16 (DCN).